1. What is the bruise? 3. What factors increase the risk of bruising? 4. What are the symptoms of bruises? 6. How to get rid of bruises fast? 8. When do you need to see a doctor? 9. What medical techniques are used to diagnose bruising? 12.1. 1. How to make bruises go away fast? 12.2. 2. What is good for bruises? 12.3. 3. What are essentials oils for sprains? 12.4. 4. 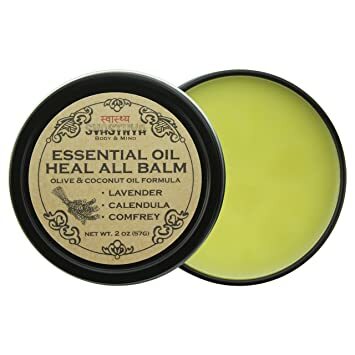 If I am pregnant, can I use essential oils for bruises? 12.5. 5. I just wonder that can bruise go away without doing anything? Accidentally, you have discovered some bruises on the arms, thighs… for unknown reasons . Bruises influence to your appearance and beauty and make you feel un-confidence with the others. Generally, this condition disappears after a few weeks, but you really want to say goodbye with those bruises as soon as possible. So, do you understand everything about bruises: the causes, the signs, and symptoms, the treatment, home remedies, etc. Here are the ways in how to get rid of bruises fast and essential oils for bruises you need to know. The bruise is a skin color change, due to small blood vessels under the skin and cause bleeding after an injury or interaction. Blood from the affected lesions will concentrate near the skin surface, and we will see a dark blue patch. This is because erythrocytes and blood components cause discoloration of the skin , . A bruise may cause pain and un-comfort for the person who undergone. Sometimes, you do not know the exact causes of your bruise. Bruising may occur in people who have exercise intensively, such as weight lifting or athletes. The bruises due to red blood cells released from the small hole under the skin (in the blood vessels). Bruises on the hands and arms (also referred to as photochemical hemorrhages or solar hemorrhages) occur because of thinning skin and are usually exposed to the sun. What factors increase the risk of bruising? Some medications can cause bruising, including nonsteroidal anti-inflammatory drugs (NSAIDs) such as ibuprofen and aspirin; Anticoagulants such as warfarin, clopidogrel (Plavix) and heparin; Steroids (prednisone) and some drugs for cancer treatment . What are the symptoms of bruises? You may experience other symptoms not mentioned. If you have any questions about the signs of the disease, consult your doctor. Fortunately, nowadays we have many anti bruising creams. But these creams may not have enough quality for your skin and be expensive. 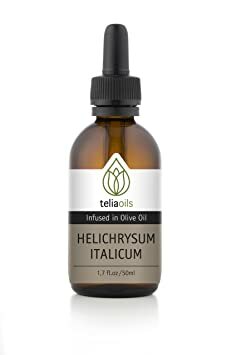 Do you know that some oils help to prevent hematoma, pain, swelling and so on? Why don’t you use some essential oils for bruises? So, what essential oil is good for bruising. Organic is an incredible natural ingredient which makes bruises go away. Organic oil is the best-extracted product that you should try to reduce bruises by organic. By containing some anti- inflammatory chemicals, organic oil is useful in decreasing swelling as well as bruises. To use this amazing essential oil, you just need to apply it on your bruises then massage gently. Moreover, you can also heat some organic flowers with water, then use it with some drops of organic oils for bathing. Arnica oil is a well-known oil which has many effects on muscle, join and skeleton. Arnica oil not only contains many pain-relieving and anti-inflammatory properties but it also acts as an essential oil for bruises . Apply a little arnica oils into your bruises before your sleep; you may see the positive changing at your skin in the next morning. It is the fact that olive oil is one of the most amazing natural anti-inflammatory oils that we have to know. Therefore, olive oil is helpful in bruises treatment. Also, olive oil promotes healing process and the rehabilitation of the skin which damaged by injuries or fracture. So, using olive oil after injuries, fractures and after surgeries are important in applying homemade oils. 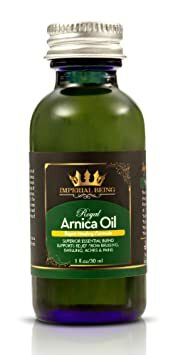 Likely arnica oil, you can put some drops of this oil in the bruises skin, massage before sleeping and relax. 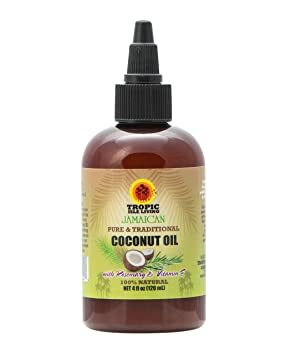 You can also mix this oil with coconut oil or arnica oil to get the highest effect. We all know that coconut oil balances blood sugar, antibacterial, anti-inflammatory, vitamin and mineral support, vitamins and minerals, etc.. Moreover, coconut oil helps you to relieve fatigue and pain in your muscles. It can be seen that the effect that coconut oil brings is great . Besides, do you know that coconut oil is used to apply for bruised skin? When bruised, you can directly apply coconut oil to bruises; coconut oil helps to reduce swelling and darkening. You do not need to rinse with water later. 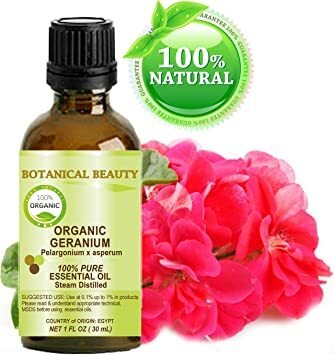 Geranium oil is a multiple oil which is used to support for bruises, stress, depression, fatigue and anxiety, fluid accumulation, eczema, edema, shingles, insect repellent, hemorrhoids, fungal skin and irregular menstruation. 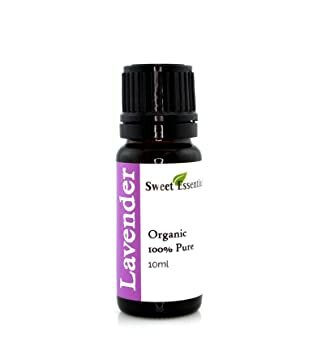 It is true that the use of natural lavender essential oil, which is capable of disinfecting wounds, helps them to come back quickly, along with the ability to melt bruises or reduce the blemishes. Skin irritation along with that lavender essential oil acts as a perfume to help the body balance state, both nervous and emotional. However, lavender oil is very helpful in the bruising treatment and healing therapy. Let use lavender oil to get rid of bruises. Apply some drops of lavender oils in your bruising skin. Then, use your hand, massage your bruises parts and relax. Do this implementation twice a day, and your bruises will go away in a few days. You can also put some drops of lavender oil when bathing. Combine this method with massaging bruises with lavender oil; you will get the best results. Cypress oil is extracted by distilling the shoots, petrified leaves and leaves of the cypress. The cypress is a deciduous and coniferous plant. Cypress essential oils are also good for healing, reducing varicose veins, especially when added to the pure lemon oil. 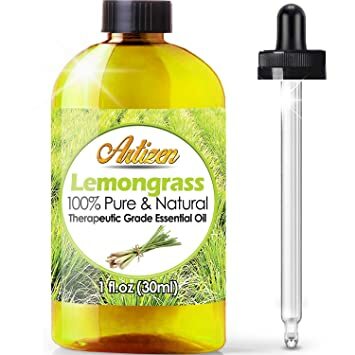 Lemongrass essential oil, which extracted from the lemongrass plant, has many applications in beauty and health care. Lemongrass essential oil is incredible in bruises treatment . Do you know how to use lemongrass for bruises treatment? Eggs are very good at bruising. On the egg surface, there are tiny pores – the very small pipes that lead to the yellow heart . When using boiled to finish the new bruise, so the egg temperature is quite high. Therefore, it will have suction pressure on the yellowed heart. Persevering in this way, bruises will disappear quickly. Note: when using boiled to finish the new bruise, the egg temperature is quite high. It may cause burn for you. So, you need to roll the chicken eggs gently and slowly. Applying cold is the first thing to do when you get bruised. It will not only help you feel comfortable instead of the pain as before but also stimulate the blood vessels are injured, Reduce the risk of swelling. This is synonymous to blurring bruises and limiting this risk. By tightening blood vessels, it prevents the blood from falling further into the skin. Separated from reducing the size and redness of the bruise reduces swelling and relieves pain quickly. This measure is known as the best and well-known remedy to overcome the high requirements of your doing. Tutorial: Get some ice and wrap in a towel. Apply gently through the bruise, hematoma. If you do not like ice, use a bag of chilled peas or a similar cold tea bag that can be used on the same affected area for 10 minutes a day. After applying ice on the bruise, you can rest assured that the bruise will not show up blue or purple the next day for mild cases. In severe cases, you may still find this bruise appearing, but usually pale and small. This is where you can use the heat to make the spot disappear quickly. Use hot water dipping towels, squeeze dry and put on the bruise; Rinse when the towel cool; repeat for 1 to 2 hours depending on the bruise or small. This will help blood circulation easily. Some children feel frightened by the feeling of the cold. So, you can use the margarine on the bruised area. Margarine will also help your baby limit the risk of swelling of the wound. You need to use crushed cabbage leaves, squeeze water and use cotton wool to penetrate the bruised area. In addition to the ability to reduce bruises, cabbage also contains anti-inflammatory compounds. You can use crabs for injury, collision, bruising and pain. First aid can be obtained by drinking fresh raw crab juice and wrapping the crab meal in the wound. This treatment has been passed down for ages, especially in martial arts circles. Vitamin C & K is recognized as an important part in building collagen defense with blood vessels in the skin. So if you bruised, you can use vitamin C & K as a quick and effective treatment and they are known as vitamins for bruises. To handle bruises, you can lose 500 mg of vitamin c as prescribed or through eating three times a day. Vitamin C, which is rich in foods like vegetables, seaweed, broccoli, and hay, is rich in vitamin C.
Vitamin C is very beneficial in dissolving blood stains. So during bruising you should add green vegetables and fruits, especially citrus fruits such as orange, tangerine, grapefruits into the daily diet. There are many essential oils for bruises that you can use at home. Besides, you can apply home remedies for bruises like onion, pineapple, vinegar or parleys. Onion is not only spice up the smell of food but you can also use onion rubbed on the skin is bruised but not open wounds. The onion is particularly active for bruises, as it combines both reduction and swelling. Slice the onion, then set to bruise position 30 minutes. An alternative remedy to treat bruises is to eat pineapple. Pineapple is rich in bromelain. This compound can reduce the aggravation on the surface of the skin to reduce pain, swelling. Bromelain helps the skin to get out of the blood and heal bruises and also prevent clots from clotting. Cut a few slices of dry onion and mix with apple cider vinegar then apply to the bruised area. Few people know apple cider vinegar to treat inflammation, swelling, bruises, and bruises are very effective. Just use a small cotton swab with apple cider vinegar and apply directly to the wound or mixed with egg white to apply on a bruise. Take a teaspoon of vinegar, mix with warm water, pat the mixture and roll over to the area of ​​deepening, bruising or hematoma. Vinegar helps to get rid of the blood cells, which are clogged in the bruised area. Parsley is very rich in vitamins. It can heal wounds from bruises but not open wounds. Take parsley water on the bruised skin; you will see the skin here soon improve the situation. You should know that aloe vera has good antibacterial, wound-healing properties, vitamins, which help to improve the bruise quickly to reduce inflammation. Aloe vera also promotes the fingernail bruises which cause your discomfort during the night. Blend the aloe vera and parsley, mix the mixture into the bruised area 3 times a day to relieve pain and quickly bruise the bruise. Coffee powder is also useful in bruises treatment, particularly in the skin surrounding your eyes. Note: do not sprinkle the coffee powder on your eyes as this will be very dangerous. Fresh turmeric pounded with alfalfa to massage the wound, bruises from fall also very effective. Taking fresh turnips pounded with alums to massage the wound, bruises due to falls are very effective. Use 20g tangerine leaves, washed, dried, gold star. Pour 400ml of water, shade 100ml splits two times a day. Use immediately 3-5 days. Also, remove the tangerine leaves, pound on the wounded, after 3 hours to replace the continuous dressing 3 – 5 days. What medical techniques are used to diagnose bruising? If a clear injury causes bruising and no fractures, your doctor may not perform any other tests. If you have severe swelling or tenderness, you may need to have an x-ray taken to ensure that there is no fracture. In cases where bruises are frequent and for no apparent reason, doctors may have blood tests to find bleeding disorders. Certain bruises, which frequently appear over time and heal at various stages, can help doctors suspect the cause is due to excessive physical abuse. Apply an ice pack or frozen vegetable bag in the affected area for 20-30 minutes to speed up the recovery and reduce swelling. However, do not apply ice directly to the skin, wrap the ice pack in a towel. Raise your legs as high as possible within the first 24 hours after injury if the bruise marks a large area on the leg or foot. Use acetaminophen for pain relief as directed by your doctor. Avoid taking aspirin or ibuprofen as they slow blood clots and can prolong bleeding time. Apply a warm towel to the bruise for 10 minutes or longer after about 48 hours of injury, performed 2-3 times a day, which can increase blood flow to the bruised area, helping the skin to absorb blood more quickly. Finally, the blemishes will fade. 1. How to make bruises go away fast? There are various ways to make bruises go away fast. Rolling chicken eggs and cold compression seem like the fastest way to reduce bruises. To know more detail, let read above article to know how to get rid of bruise fast. 2. What is good for bruises? Lifestyle habit changing is good for bruises. To be effective, you need to treat bruise immediately after the injury; the bruise is still red. You can apply some methods for reducing bruises such as use some essential oils for bruises or home remedies for bruises. If your bruises are not improved, you should come and see you, doctors, as soon as possible. 3. What are essentials oils for sprains? As essential oils for bruises, you can use some essential oils such as coconut oil, lavender oil, lemongrass oil, etc. … for sprains. In fact, the causes and the characteristics of sprains are similar to the bruises, so the treatment and the using of essential oils are the same. 4. If I am pregnant, can I use essential oils for bruises? All above oils are very safe for pregnant women and any ages. Moreover, some essential oils like coconut essential oil, lavender essential oil, can bring the positive effects for pregnant such as relaxing, more comfortable, or increase the immune system. Don’t worried when using those essential oils for bruising. 5. I just wonder that can bruise go away without doing anything? The bruise is a normal reaction of your skin after you get some injuries, environment contacts. If you bruise mild, not serious, it can be disappeared after a few weeks with any treatment. However, using some essential oils for bruises or applying some home remedies for bruises will reduce the bruising situation faster and even your bruises are severe. Give us your comment and LIKE , SHARE to reach more readers if you feel this article is valuable.